metal rework Archives - Foreman Fabricators, Inc.
Metal Repair, Parts Replacement, and Rework- Foreman Fabricators specializes in the replacement, repair and rework of almost any metal item. 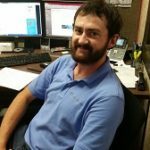 We pride ourselves on our ability to serve your needs for modifying your existing parts, fixing a broken metal item that’s too unique or valuable to throw away, and even replicating difficult to replace parts that you can’t find in a catalog or inventory. With over half a century of experience in custom metal fabrication, no one else in St Louis can bring you the expertise and attention to detail you need to ensure your reworked or repaired metal item looks and performs like new. We’re also experts at fabricating a new version of your worn or broken part, matching the look and functionality of the item, and even making improvements to enhance long-term durability. 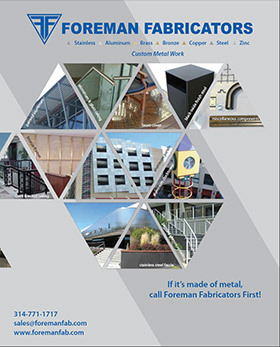 Foreman is recognized as an industry leading resource for contractors and individuals responsible for building or facility maintenance and repair. Our ability to match and recreate existing metal items also makes us a unique resource for historic renovation projects. With Foreman Fabricators, you get the peace of mind that your metal repair, replacement and rework jobs will be done right, and done on time. Contact us today for a quote on any of your metal item repair and replacement needs.